In previous Mom’s calling Q&A series, we have discussed: What Bluetooth Headsets are Compatible with Sangoma’s s705? Today, we have more new real questions and answers from VoIP users just like you. 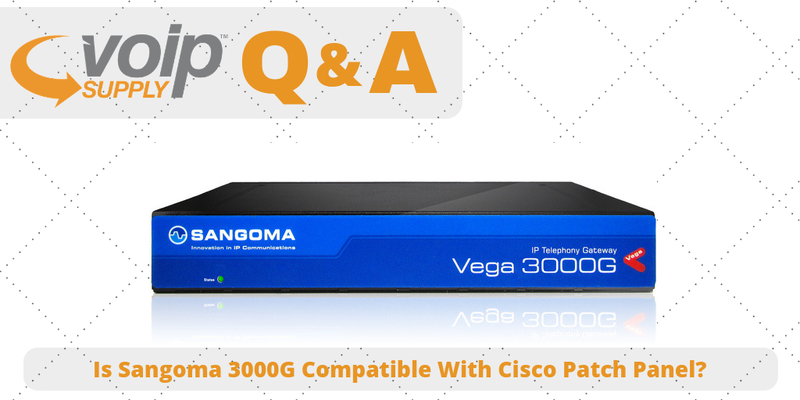 Q: Will Sangoma’s Vega 3000G work with Cisco Telco Patch Panel with RJ21 ports? These two things wouldn’t integrate together would they? A: If you are referring to the Cisco patch panel (patch panel with RJ-21 cables) that is used with the VG224, it should be compatible as long as the RJ-21 end is male since the Vega 3000 G RJ-21 port is a female port.